If Zimbabwe can extend their vigil on day two, 400 looks pretty much in sight. Day one of the first Test between Bangladesh and Zimbabwe started with a lot of uncertainty for the visitors. After losing the ODI series and not knowing where exactly they stand at the start, skipper Hamilton Masakadza's fifty at the top was reassuring. After the team lost a couple of quick wickets in the form of Brian Chari and Brendan Taylor, Sean Williams came in to the picture. Williams has been Zimbabwe's best batsman along with Brendan Taylor for a long time now. In the ODI series as well, he had one century and one half-century against his name. Williams carried his white-ball form into this Test match as well. However, a moment of complacency cost him his wicket. 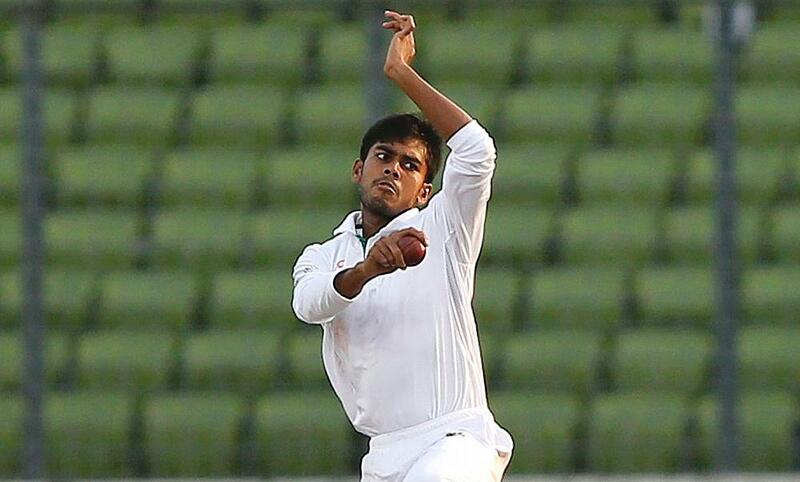 He was dismissed by Mahmudullah, a bowler who was least expected to give Bangladesh a breakthrough. Despite his dismissal, two set batsmen in Peter Moor and Regis Chakabva are still at the crease. They have also survived the second new ball. If Zimbabwe can extend their total to 350 or close to 400, it would be very tough for Bangladesh to come back into the match. Although the pitch is a good one for batting, it does not allow for free shot-making. If the bowlers can stick to their line and lengths, scoring runs can be quite a tough task. Mehndi Hasan who did not prove quite effective on day one is expected to come to his own in the following days. Let's have a look at the playing XI of both teams.